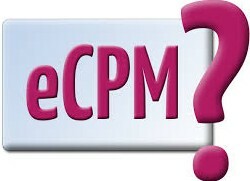 How to improve your eCPMs? | AdsWiki - Ad Network Listing, Reviews, Payment Proof & Advertising News. Home Articles How to improve your eCPMs? How to improve your eCPMs? Country Geo Targeting – Allocate impressions based on geo-targeting, allocating high eCPM countries to campaign and low eCPM countries to your own ads or your back tags. Use rich media – It is a well-known fact that people respond to interactive ads. The good thing is options abound. Stay ons, sliders, pop-ups, pop-unders, are just some of the many rich media ad types a publisher can run on his site. These have great CTR and tend to generate higher eCPMs than standard banners. Top fold – place the banners in visible locations in your website. This means the users are more likely to see the ad and click on it. Volumes – it’s all a numbers game! The more you increase your website traffic send the more our advertisers can work on and the better optimized your traffic will be!